Jeanine Pirro to Comey: Enjoy Your Freedom While You’ve Got It | The Fringe | Conspiracy, News, Politics, and Fun Forum! Jeanine Pirro to Comey: Enjoy Your Freedom While You’ve Got It | The Fringe | Conspiracy, News, Politics, and Fun Forum! Jeanine Pirro to Comey: Enjoy Your Freedom While You’ve Got It The-Fringe | Your #1 Source For Conspiracy, News, Politics, and Fun! Saturday on Fox News Channel’s “Justice,” host Jeanine Pirro contended “the chickens have come home to roost,” referring to the left and the media reaction to Attorney General William Barr’s claim before the House Appropriations Committee last week that the U.S. government spied on the 2016 Trump presidential campaign. Pirro criticized a number of those associated with the alleged effort, including former FBI Director James Comey. This is going to be "The Show Of Shows"!! Arkansas_Ted, bigD111, Capnron, DaJavoo, Elric, Frigg, Mmmmkay_Ultra, MysticPizza, Nekro, Sassy, Verity, WNC, ~mc~ likes this! bigD111, Capnron, Elric, Frigg, Mmmmkay_Ultra, Nekro, phxsparks, WNC likes this! I hope he goes to jail. Mainly for what he did with Hillary. He is a disgrace to the entire FBI. He is proof that the whole organization needs to be completely overhauled. bigD111, Elric, Kadosh, Mmmmkay_Ultra, phxsparks, Pope Trollalotta, Sassy, Verity, WNC likes this! (04-15-2019, 12:15 AM)Frigg Wrote: I hope he goes to jail. Mainly for what he did with Hillary. 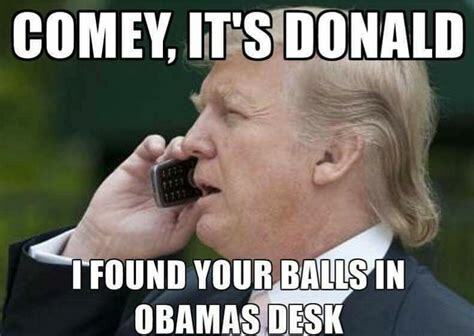 Comey is a disgrace to the entire justice department. The term that comes to mind is "Dirty Cop". bigD111, Capnron, Frigg, MysticPizza, Sassy likes this! Then there's this...I wonder what is his definition of espionage? bigD111, Elric, Frigg, Mmmmkay_Ultra, phxsparks, Verity, WNC likes this! I think there are a few good ones there...Maybe? The leadership is probably fucked and a lost cause. But it’s hard for me to believe they’re all bad. You know, they have to feed their families just like we do but there is a point when a person has to stand up for the law. If you stand up your fired. IDK but I bet at the end of the day, if it all falls down, and if it doesn’t change it will, a good majority of those guys will be standing right beside us. bigD111, Frigg, phxsparks, Sassy, WNC likes this! Best one I’ve seen yet! bigD111, Frigg, phxsparks likes this! bigD111, Capnron, phxsparks, Sassy, WNC likes this! (04-15-2019, 12:44 AM)Sassy Wrote: Then there's this...I wonder what is his definition of espionage? Doesn't know what he meant huh? I think he is going to find out. bigD111, Elric, phxsparks, Sassy, Verity, WNC likes this! bigD111, Elric, Mmmmkay_Ultra, MysticPizza, phxsparks, Sassy, WNC likes this!